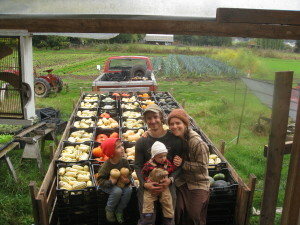 Welcome to Calliope Farm, a four-season market farm and CSA! Proud to be a part of the collaborative and vibrant local food movement, we grow well over 100 varieties of gourmet-quality, certified-organic vegetables. Farming 30 acres on the banks of the Black River and on the western edge of Olympia, it is our vision to create a healthy farm ecosystem that can preserve and improve farmland while sustaining our community now and for future generations. Check out the 2019 Calliope Farm Market Share CSA!